Dahliea Gherac desperately wants to be accepted by her schoolmates and wishes that she was like every other S'Renen, but she's the sheltered daughter of a politically powerful father and from a wealthy and prominent family. She's chased by the media, bullied by her peers, and worst of all, she is treated as an oddity because her mother is a blonde-haired, fair-skinned woman from Earth. She must cope with daily life and her world's impending confrontation with the Union. Then Dahliea learns that she is a pawn in the dangerous game of world politics. 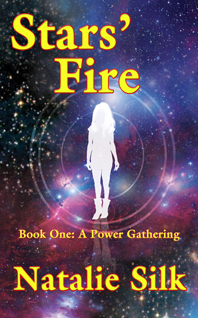 As her world descends into war, she may be her people's only hope!